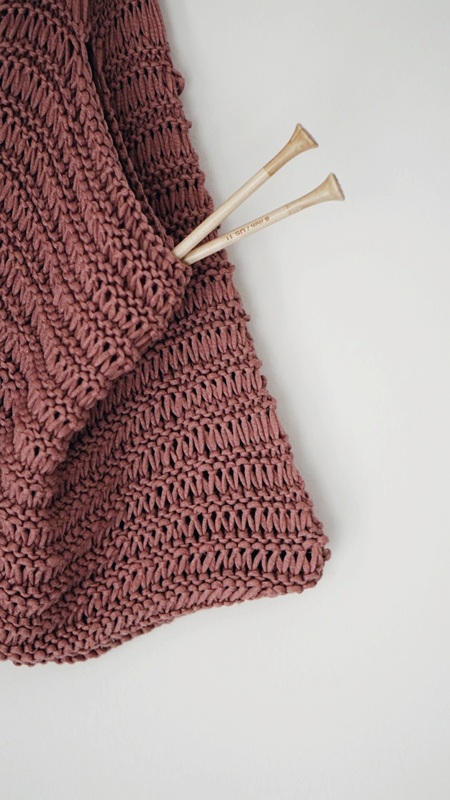 Three cheers and a heel-click for finished knitting projects! I am so happy with how this I Got You Bag from Wool And The Gang turned out! They kindly sent me the kit a few weeks ago and I loved stitching away on it during any spare moment. Wool And The Gang just released their New Wave eco friendly yarn from discarded plastic bottles and the I Got you Bag is one of their new knit accessories in the collection! The New Wave yarn is is 47% Plastic 53% Cotton, and there are 3 whole recycled plastic bottles in each 100g ball of yarn and the collection includes 8 kits to choose from. The collection includes projects from beanies to bags to sweaters, both knit and crochet making it ideal for everyone to choose their favorite and start making! I really suggest you give this new yarn a try! There are 12 coloways to choose from (I went with Mellow Mauve) ranging from bold colors to a minimal color palette. 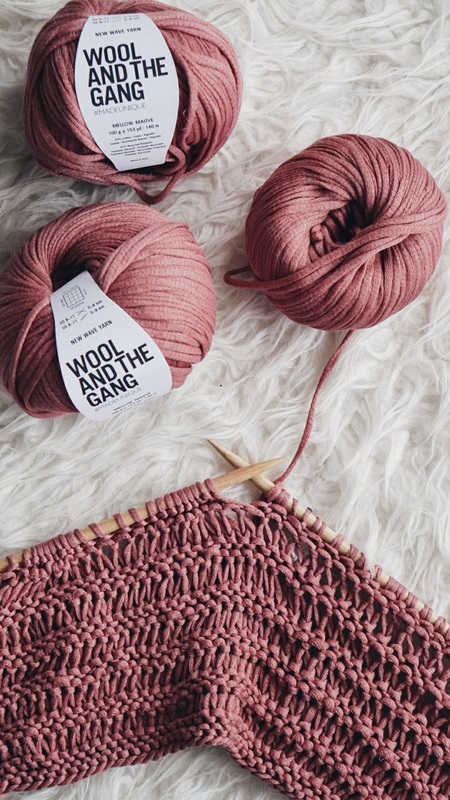 Head over to Wool And The Gang to get your hands on one of their fabulous kits or choose your New Wave yarn to get making!